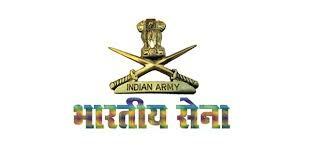 Indian Army Recruitment 2017-18 for Soldier GD, Technical, NA, Clerk/ SKT Posts: Army Recruitment Rally Faizabad Cantt has released Recruitment Notification for 13 districts, Allahabad, Ambedkar Nagar, Amethi, Basti, Faizabad, Kaushambi, Kushinagar, Maharajganj, Pratapgarh, Raebareli, Santkabir Nagar, Siddharth Nagar and Sultanpur and Passed 10th/ 12th/ Intermediate Examination may attend the recruitment rally for the posts of Soldier GD, Technical, NA, Clerk/ SKT vacancies. Interested for getting Soldier GD, Technical, NA, Clerk/ SKT Vacancies, Candidates Apply Online on or before 26-08-2017 to 09-10-2017 Hrs on wards. Interested candidates can apply online application forms by visiting the website “www.joinindianarmy.nic.in” from 26-08-2017 to 09-10-2017 Hrs and attend the recruitment rally along with original documents of SSC Mark Sheet (Class X), Intermediate Mark Sheet (Class XII) and certificates, Degree Mark Sheet and Certificate, latest Nativity/ Residential, Community and Date of Birth Certificate issued by District Administration/ Tehsildar/ Revenue Officer, Twelve latest coloured 3.4mm x 4.5mm passport size photographs from 25-10-2017 to 15-11-2017 at Faizabad Military Station. Last date of Application: 09-10-2017 Hrs. Date of Recruitment Rally: 25-10-2017 to 15-11-2017 Hrs.